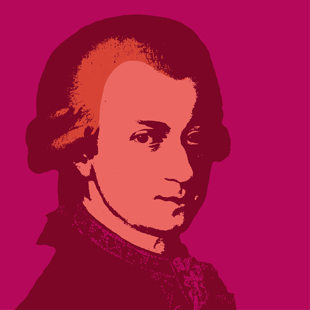 Our Mozart Requiem workshop on 26 January 2019 was led by not one but two inspirational choral directors. 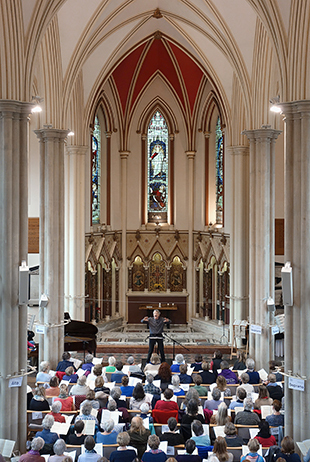 Bath Bach Choir's musical director Nigel Perrin was joined by guest conductor Peter Leech, fresh from directing the annual Tallis Voices promenade concert in Wells Cathedral. 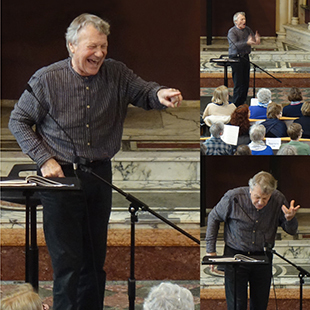 Known for his innovative approach to music-making and strong following in the south-west, Peter had struck up an enthusiastic rapport with Bath Bach Choir when he guest-conducted our Venetian Vespers concert at Prior Park. 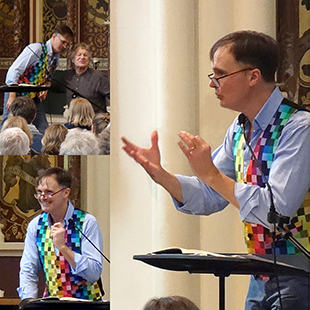 We were delighted to work with Nigel and Peter on aspects of Mozart’s seminal choral work, and it was brilliant to see so many guests for this great day of singing. See you next year!